It seems that if you had the forum open on a tab, as I did, you can access and navigate as long as you DO NOT click on the 'Joe Bonamassa Forum' link at the top to the left of the sub-forum name. I have been navigating between forums using the drop down menu at the bottom of the page. The main site has been hacked by Brazilians, it would seem, so you won't be able to access the forum from there. 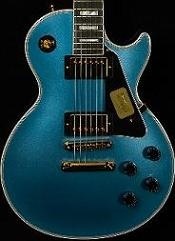 I tried to c&p https://forum.jbonamassa.com into another tab, but that brought up the Brazilian flag pic too. It looks like you're ok IF you're in, but that you can't actually get in if you're not - which means that I have no idea how many or how few will see this post, or the similar one I posted up in General. My bookmark to the forum let me in fine. The other day I couldn't get into the forum at all.